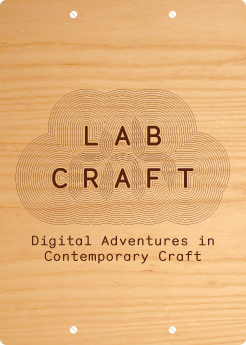 Here are some of the comments about the Lab Craft exhibition. Comments are now closed but you can still join in the converstion by following Crafts Council on Twitter and Facebook. We also recommend you sign up to the Crafts Council’s e-bulletin so you can stay up to date with all the news. Interesting exhibition, but why there were no examples of digital knit? The description of the electronic jacquard loom could be that of mechanical and electronic knitting machines. Good to know it’s coming back to London again as it was great show!! Fantastic exhibition! Very interesting to see craft makers using digital production techniques to create some stunning work. Fantastic! The unimaginable made real. Loved the work by Lynne MacLachlan. For more information about the exhibition and the makers featured download the gallery guide here. Is the show coming to near where I live?